Beauty, massage, therapy and day spa in Katoomba. ​Let us bring out the butterfly in you! 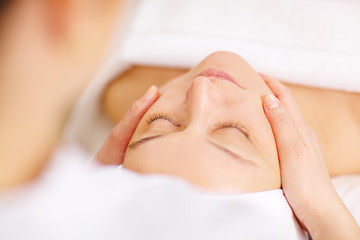 This facial will restore facial fullness and re-define the facial contours, minimising wrinkles. It relieves congestion around the eye area with ProGEN-in technology. We work closely with all our clients, creating treatment regimens designed to achieve maximum results. We tailor our services to individual needs, and help our clients to achieve the very best outcome with any of their skincare or beauty concerns. Our signature treatment is the ultimate indulgent experience. A full body scrub, followed by a hot bath or shower. Then a Swedish Aromatherapy massage, followed by one of our advance lifting and age-defying facials, including hand and head massage; and finally LED Light Therapy. You will be transformed into a butterfly!